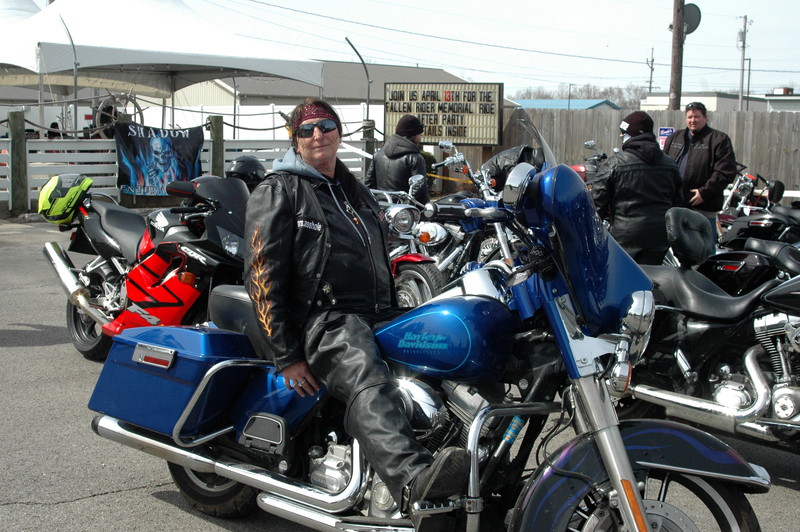 SYRACUSE — At noon Saturday, April 13, 40 bikers from near and far kicked up their stands at Louie’s Bar and Grill to begin the third annual Fall Riders Memorial Ride to promote motorcycle safety and spread distracted driving awareness. 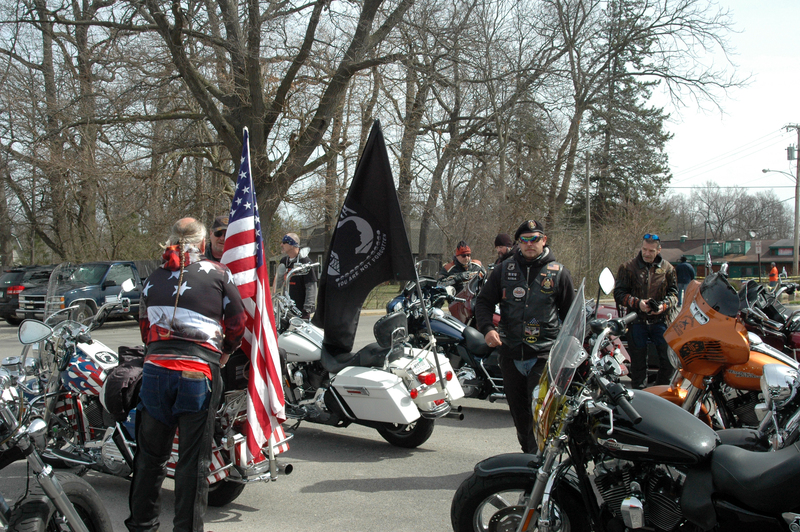 The ride was organized in honor of Erik (Doc) Mounsey, who was 20-years-old when he was involved in a fatal accident where distracted driving was involved, though the ride honors fallen riders everywhere. 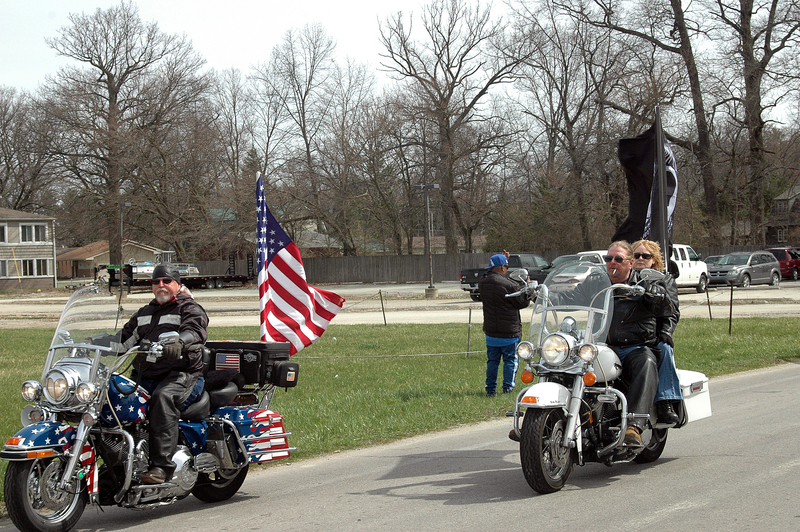 Most American Bikers Aimed Toward Education groups participate in Motorcycle Safety Awareness Month in May, but the Fallen Riders Memorial Ride drives home the fact that safety has no designated time. Pictured is Teresa Athell. “We are truly honored to be a part of this mission, which is exactly what this is,” commented Chrissy Maloyed, Shadow Entertainment Midwest. “A mission to remind people to share the roads with motorcycles, the importance of distracted driving and the impact that it makes. 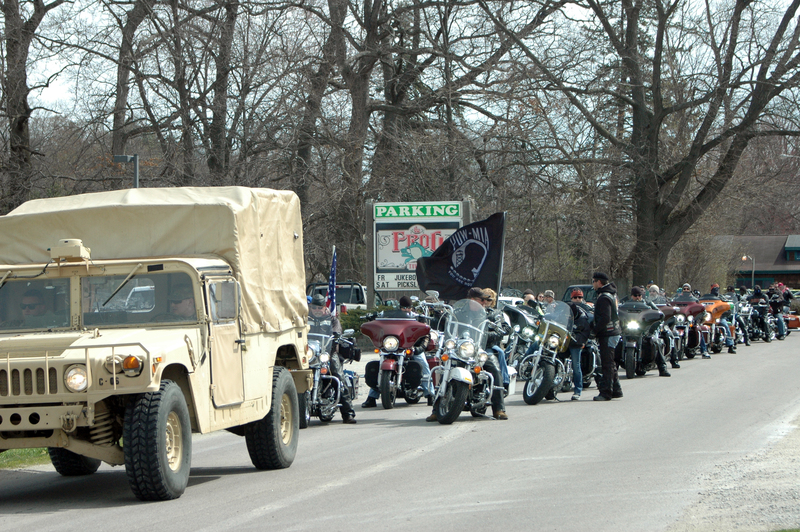 The 80-mile ride circled back to Louie’s where live music, raffles and a variety of other activities were held. Funds donated will go to five local high schools and assist driver’s education for kids unable to afford it. To contribute to the cause may send donations to Wawasee High School Principal Kim Nguyen with Fallen Rider Memorial Ride in the label. 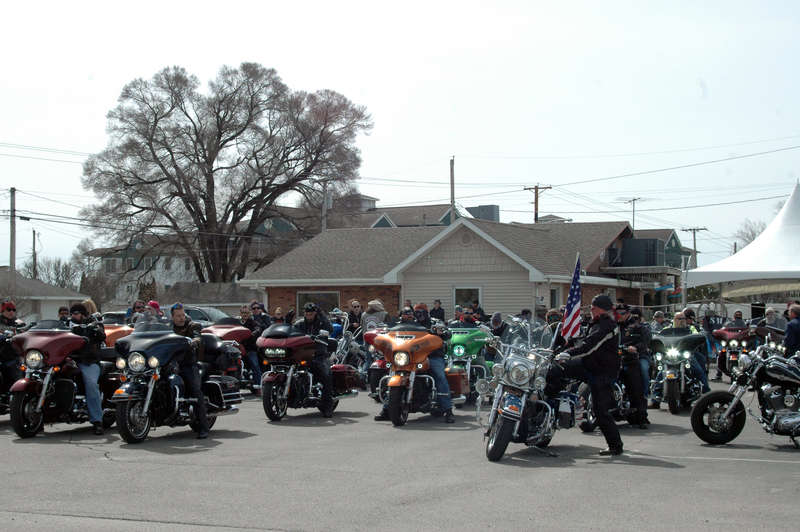 Bikers start up their engines, ready for the ride. Distracted driving has contributed to too many fatal accidents, something that needs to be addressed in all age groups. Chris Moore and Craig Hilerich lead the ride. 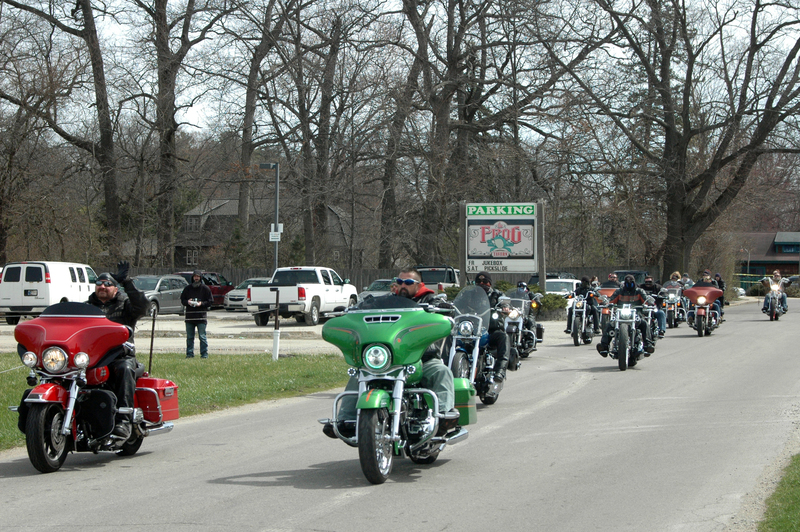 After the ride, riders will gather at Louie’s Bar and Grill for live music, food, drinks and a good time.